A new study suggests Google is collecting even more data than you may realize, a finding the search giant calls "wildly misleading." Much of that data is "inferred" through passive means, including location information sent to Google even when people aren't actively using their Android phones or Chrome Browsers, according to the 55-page study released Tuesday. Both Android and Chrome are made by Google and are the most popular services in their respective classes. A dormant Android phone running Chrome in the background sent location information to Google 340 times during a 24-hour period, or roughly 14 times an hour, according to the study. "At the end of the day, Google identified user interests with remarkable accuracy," Schmidt wrote in the study. "This report is commissioned by a professional DC lobbyist group, and written by a witness for Oracle in their ongoing copyright litigation with Google," a Google spokesperson said in an email statement. "So, it's no surprise that it contains wildly misleading information." Prof. Schmidt didn't immediately respond to a request for comment. Google has been under scrutiny for privacy concerns. 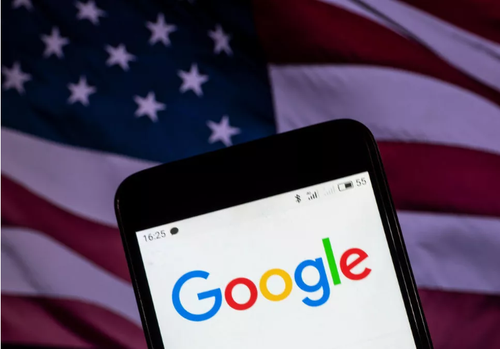 Last month, the House Committee on Energy and Commerce sent a letter to Google parent company Alphabet questioning how Google collects data through location services, cellular towers, Wi-Fi hotspots and Bluetooth connections, especially when devices are offline or dormant. Google hasn't responded to the inquiry.